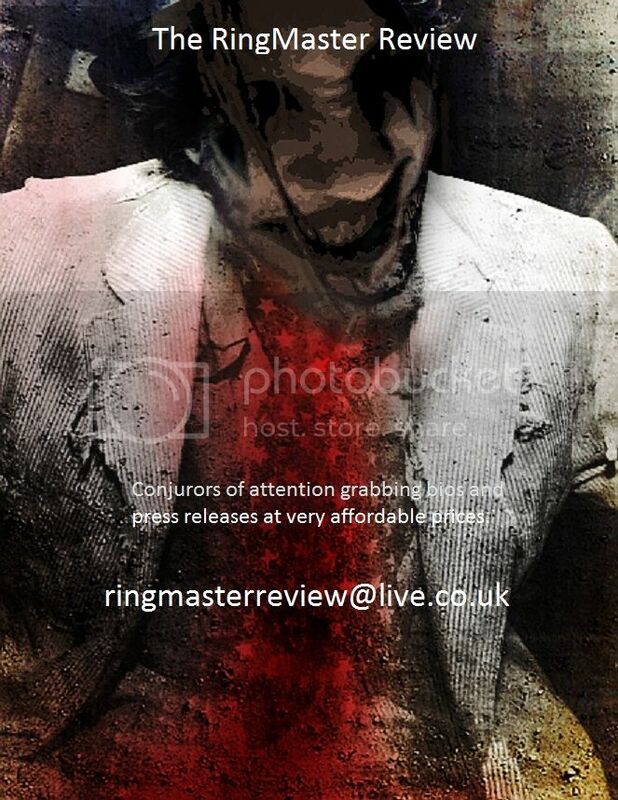 Hi Guys and welcome to The RingMaster Review. We are on the eve of the release of your debut album ‘This Is What We Are‘, how are things emotionally in the Fuckshovel camp? We’re just about holding it together! It’s been a rollercoaster of a ride making this album. It’s taken a long time and we’ve put so much into it both physically and mentally. For us up to now it has always seemed like it’s on the drawing board, so to finally be putting it out there seems bizarre, like the end of an era. Maybe the release is the closure we need to get on with the next album! The first single from the album Schizophonic certainly brewed up a fevered anticipation for the album, as represented by the enormous reception when playing the track on The Bone Orchard podcast. Has its success and deserved acclaim, made you less tense and more confident for the album’s introduction to the world? Well to be honest, we know that the playing is good and we’re confident in the songs so the only thing we’re really concerned about is finding enough people who agree with us! Reviews and the like are so subjective it’s not something we can control so we try not to worry about it too much. Before talking more about ‘This Is What We Are’, tell us how Fuckshovel began and those early days starting out? The original plan was basically Jon, Ian and another mate (Kermit) getting together with a couple of mates and playing for a bit of fun. For various reasons this never really happened so John and Dave were recruited to the good ship Shovel. We started writing and gigging immediately and got some good reviews and feedback but it was quite difficult to settle on a sound that we were all happy with. Eventually we parted company with Kerm and began writing material that suited the remaining four of us. What is the history of the band members previous to the band? Many and varied: Dave (Virago – drums) played with Cradle of Filth, did the MTV Awards with Basement Jaxx and more recently appeared with Dizzee Rascal. John (Faulkner – bass) was formally with Latch and played on a couple of tracks on the first Plan B album, Ian (Fisher – guitar) was in Decimator and before doing this Jon (Stone – vocals) was working with Laurence Archer (Phil Lynott’s Grand Slam & UFO). Many bands have been raised as having essences in your music, including Discharge, Anthrax, and Ministry. For us your distinct sound held strong whispers of Therapy?, The Wildhearts, and definitely Ruts. Any of those fair and what are the major influences which inspired you as musicians and band? As you can see from our previous histories we’ve got quite a disparate bunch of influences. For instance, Ian is into old school thrash, punk and Eminem! Jon likes Thin Lizzy, Soundgarden and Killing Joke. John would cite Deftones, Rage Against The Machine and the Bronx while Dave is a big Pantera and Alice In Chains fan. And we all agree on Slayer. And Peter & The Test Tube Babies! From our first rehearsal we wrote new stuff without ever knowingly incorporated any of our influences into the overall Shovel sound so whatever we sound like is just us playing what we enjoy; which is generally the sort of noise made by the bands you mention. So yeah, those references are fair in as much as Therapy? and The Wildhearts go for an aggressive sound with strong melodies, which is something we aim for. The Ruts is a niche reference but we’ll take that – Babylon’s Burning is one of the very few covers we’ve ever bothered to learn! Obviously we have to ask about the brilliantly provocative band name. It smacks you in the face like your sounds with energy and mischief, any problems or restrictions come because of it though, especially in the regard of radio play? It can be slightly problematic! As most bands will tell you the hardest thing to agree on is the name – we had the name before we’d even rehearsed so we were lumbered with it from day one! We’ve had radio play from BBC Radio 6 (Bruce Dickinson’s show), XFM (Ian Camfield and John Kennedy) and the likes of Total Rock so it’s not impossible but they do tend to call us F-Shovel which might make us slightly harder to track down. We had the video for Long Time Dead on Headbangers Ball quite regularly too so it can be done. You have already grabbed strong attention both sides of the Atlantic Ocean, how did you come to play over in America? Quite simply, we applied to showcase at SXSW and got accepted. It was a bit of a shock! We did it all off our own back so we probably didn’t get as much out of it as the more established bands… having said that, we did get a big crowd at the main showcase and a really good reaction too. It was great fun but not as fruitful as we’d hoped. Back to This Is What We Are, an album which for us ‘is a riotous storm of rampant rock n roll with no intent to compromise or accept mere appreciation of its forceful sounds, it is all or nothing’. Do you have any set intent when writing songs? Mainly we try to write to keep all four of us happy and as the meeting of our influences is generally in the aggressive section of the Venn diagram that’s what usually comes out. Plus, obviously, being called Fuckshovel does tend to mean we weed out the power ballads quite early in the writing process! There is an open defiance and inciting attitude to your music, what predominately inspires your ideas? Did the tracks and album emerge from the studio how you envisaged going into its realm or did they evolve further? Well, this is the second time we’ve actually recorded the album so they’ve definitely evolved! We originally had the album pretty much done and nearly dusted but when we listened back we’d got so immersed in the whole studio technology thing that we’d lost the band, so we scrapped it, which was quite time-consuming… And expensive! We went back to basics, took the songs apart, reworked some, dropped others completely and started again. So when we began tracking we were pretty sure we had all the sections as we wanted them. We allowed ourselves one week for all the tracking and did the vocals and overdubs later. The vocals were predominantly recorded in our rehearsal space which gave us time to play around and experiment with them so they definitely evolved. How did you record the album? The songs have such a live and organic feel it suggests they maybe were recorded live so how did you lay down the tracks? That was the initial aim. As we mentioned earlier, we were very concerned with capturing the sound of the band playing live. Long Time Dead and Skull &Bones were definitely done live. The rest were a combination of live and layers. Although, we did institute a 3 takes rule for everybody. And sometimes we stuck to it. Is there any particular moment on the album which brings the deepest tingle and feeling of pride personally? Our children all shouting ‘You’re not one of us!’ in Auslander, the various musical parts all played by different people visiting the studio e.g. Jon’s daughter on the wah pedal in Schizophonic and remembering the atmosphere at various different times in the studio during recording. When we tracked Vegas Nerve (which used to be called God) the lights were really low in the studio and there was an epic thunderstorm that shone through the sky-light in the studio ceiling. There are also the one-offs such as Johnboy’s high-pitched scream in All You Got, a total random one-off fluke that has and will never be replicated. If you go on youtube you can see quite a lot of footage taken during tracking, for example Randy (Ian Fisher) in the vampire cape recording Auslander – that one in particular lives fond in the memory. The artwork for ‘This Is What We Are’ comes from the legendary Jamie Reid. How did that link up come about and did he have a free rein to interpret your songs visually? Jon and Ian know his agent (who used to do A&R for Poison Idea trivia fans). We asked him if he thought Jamie would be interested and were told to write to him and ask. So we drafted up a begging letter, sent him some lyrics, a couple of tracks and the track-listing and he said yes. He came back with a choice of 4 or 5 ideas and we got to pick the ones we wanted. It was quite surreal! Usually we are asking bands what they learned from working with renowned and acclaimed producers, but here we have to ask did Jamie offer something other than his art which impacted on you? Well, due to his schedule the process from start to finish took about 6 months so we definitely learned patience! And the fact that it’s okay to refine and re-do until something works. A good idea’s a good idea but it doesn’t mean you can’t make it better. What is in the immediate future for Fuckshovel in association with the album? It’s due to be released on the 18th February so we’re pushing to get as many people as possible to be aware of it. We’ve got some gigs already confirmed and we’re actively looking for more. It’s all about searching out people who agree with us! We imagine, not having the joy yet to see you live, that your gigs are brawls of energy and attitude. How do you approach each show, like it might be the last one and give it your all every time one assumes going by the album. Yeah, pretty much. These aren’t the sort of songs you can play half-arsed so no matter how many people we’re playing to we tend to go at it full-tilt. The aim is get everyone into it and singing along with Portia’s Box by the end. Many thanks for sharing time to talk with us. Any parting words you would like to set free? We’ve probably said too much already! Lastly give us some of the most important albums which shaped your personal musical direction.